41 years ago, November 14, 1975 Spain wrote one of the saddest pages in its history, delivered in haste and on a platter, an entire people tethered hand and foot for the slaughter. Since then Morocco has not ceased in its attempts to physically eliminate the Saharawi people from the map as an attacker and occupier. 1. What is the current situation under international law regarding the right of the Saharawi people to a referendum on its future? 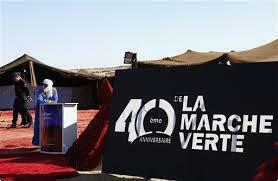 This Feb. 27, 2016 marks the 40th anniversary of the Sahrawi Republic Democratic Arab (SADR), the Saharawi State, which is now an obvious reality, a founding member of the African Union, with diplomatic representation at the level of embassies in Africa, Latin America and Asia and political presence throughout Europe, the Saharawi State based on solid institutions to guarantee the basic rights of its people, in education, health, security and defense. The Saharawi people simultaneously with the construction of their future state, are pursuing a constant struggle to conquer their usurped rights and the recovery of part of the territory currently under the illegal occupation of Morocco. On 6 September 1991, the United Nations and its Security Council have called on both parties to the conflict, Morocco and the Polisario Front, to seek a peaceful solution through the implementation of a transparent and democratic referendum, in which the Saharawi people are able to freely express their own destiny. To date this referendum was not held due to the refusal, thwarting or prevention by Morocco against the international community’s efforts to resolve this conflict. 2. Does Morocco continue to violate the law? Morocco has always been as it was in its time Hitler’s Germany, a permanent threat to its neighbors, the great call Morocco is an aggressive project of territorial expansion. No one recognizes the supposed sovereignty of Morocco over the Sahara, starting with the Moroccans themselves. The late King of Morocco Hassan II when he accepted the settlement plan proposed by the UN and the African Union, proclaimed twice that if the Saharawis in the referendum opted for independence, he would be the first to open an embassy in the city that the Saharawis choose as capital. Morocco is acting outside international law, not only for violating all international resolutions, but also through the implementation of a genocide and extermination policy against the Saharawi population in the territories under their occupation and isolation of these from the outside world territories, barring from entry foreign journalists, associations and international organizations of human rights, and to the present day, Morocco has dozens of Saharawi citizens in its prisons unjustly sentenced to disproportionate sentences of 20 years to life imprisonment. The marginalization of the Sahrawi population, impoverishment and deprivation of all their rights is another of the tactics of Morocco. 3. Do you feel that your people have been abandoned by the international community? The Saharawi cause has been and continues to be present on the international agenda, the international solidarity movement has been growing over the past 40 years, and there are hundreds of people from all countries of the world who visit the Saharawi refugee camps and through their presence there demonstrate their solidarity and give us courage, the Saharawi cause is not a forgotten cause , but there is negligence in fact and lack of UN mechanisms to enforce its own resolutions on this conflict, although every year since 1964 it has been reaffirming the right of the Saharawi people to self-determination and independence. There are examples in history in which international law was imposed, as is the case of apartheid in South Africa, the cause of Palestine, East Timor, in these cases there was an application and severe length of international law with political and economic sanctions that led to independence of South Africa and Timor-Leste to the recognition of the Palestinian state at the United Nations. These measures should also be applied against Morocco because of its uncompromising stance against international law and allow the Saharawi people to exercise their right to self-determination, the right to self-determination is one of the fundamental principles underlying international law and is one of the UN pillars. 4. Do you have an appeal to make to the people of the world? What can people do to help? First I want to thank all the solidarity and support throughout these 40 years of resistance and I would like to encourage them to continue to support this cause, because it is a just cause.